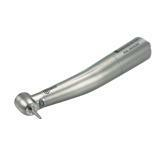 With the most extensive carbide line in the dental industry, Brasseler USA offers a wide variety of Trimming and Finishing instruments including the popular ET Series. Designed with key opinion leaders and innovations, Brasseler USA Trimming and Finishing carbides provide the perfect balance between cutting efficiency, smoothness and longevity. 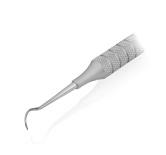 Including Peter Brasseler Series™ and BrioCut™ sterile, finishing carbides, these carbides include various shank options and blade configurations for composite restorative, orthodontic and endodontic procedures. These instruments come in Fine (8 or 12 Blade), Extra-Fine (16 or 20 Blade) and Ultra-Fine (30 Blade).